I knew Shanna's main color is turquoise, so I changed the look around to fit her home decor. I also added a little vintage charm to her package as well. Before I show you her gift, I wanted to let you know that, I thought I took pictures of my project during the making of it. I was mistaken however. I was in the process of creating a tutorial on this same process, so the pictures you are going to see are not from Shanna's gift but the process is the same. All my painted letters are free hand. I printed off a word or individual letters that I want to paint on my fabric. I created the words in PicMonkey. I took my word and I laid my fabric on top. Make sure your fabric is light in color and lite weight as well. This will make the process easier. I do have other methods, where I will show you at a later time, on how to do this free hand method on dark fabrics. Anyhoo, as you can see in the picture, on the left, I can see the letters which allowed me to be able to paint each letter with ease. Using a narrow tip paint brush, I was able to follow and paint each letter. The picture on the right, you can see the finished result. Here is the Shanna's gift. I also created this lovely pin cushion using a silver plated vintage sugar bowl. I love how it turned out. There you have it, my handmade gift for Shanna. My secret Santa was Therese from Fresh Idea Studio. This was her beautiful handmade gift to me. Isn't it so cool? I love it and its going to go great in my home. Thank you Therese! Now, it's time for you to stop by and visit my friends on this Secret Santa Blog Tour and see their lovely handmade creations. Really nice banner, Vanessa! Thanks for sharing the tutorial. You make it look easy! 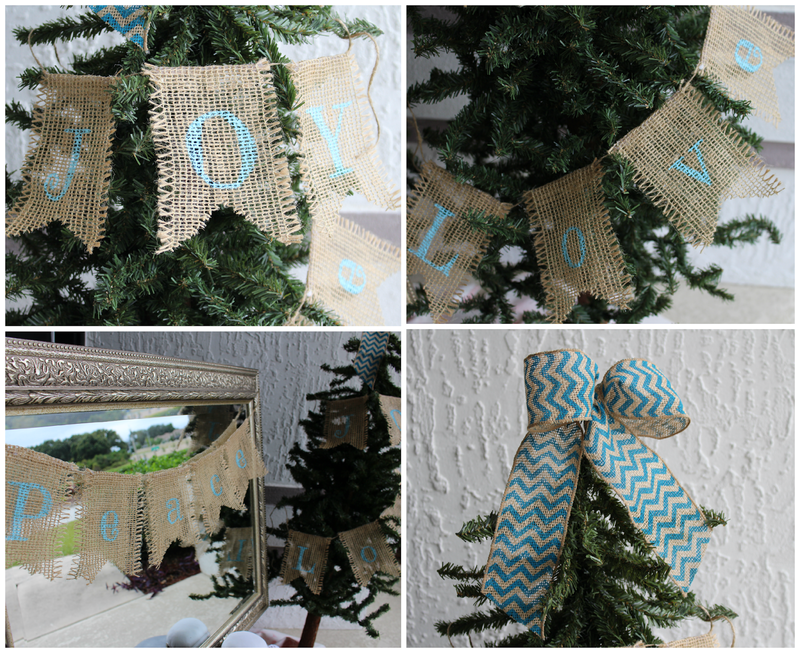 Cute hand painted burlap banners Vanessa! What an awesome blogger tour...now off to see what the others made and received. Love the banners Vanessa!! :) Your snowflakes look fun too! Such cute banners! What a great job! Have a Happy Thanksgiving! So cute! 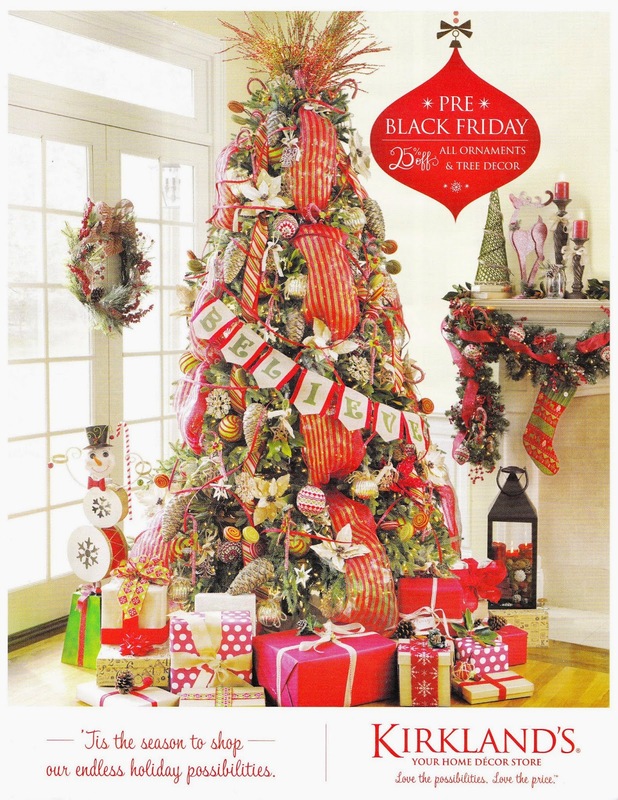 I have a couple little trees like this and was stumped for what to do with them. You just got my wheels turning. Thanks for the inspiration! Your bunting is so pretty! I love the turquoise! 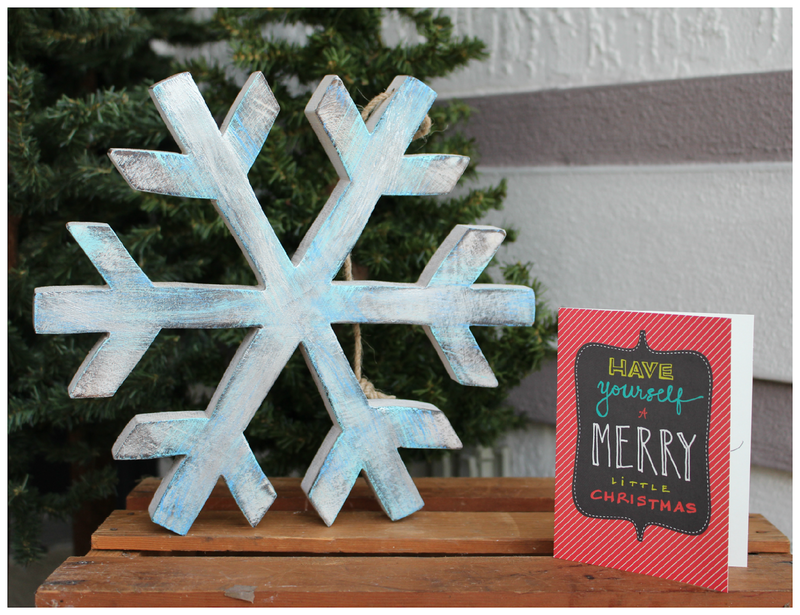 That snowflake is so pretty from Therese. You can even use it beyond Christmas! I love this! 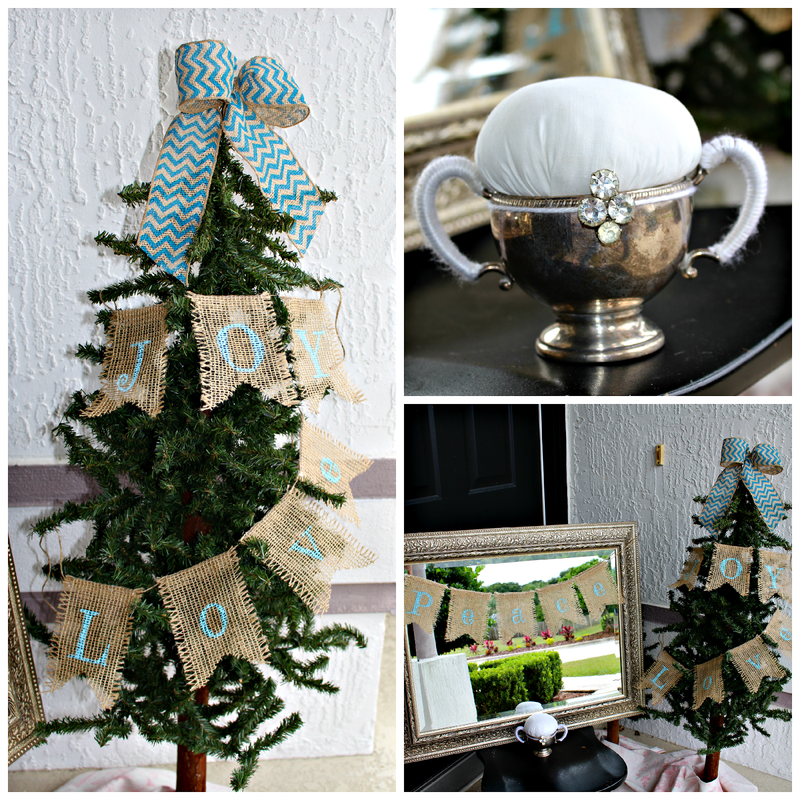 It's such a fun way to personalize Christmas. The turquoise is so pretty too! Such a good idea to freehand letters using a template underneath! Smart! 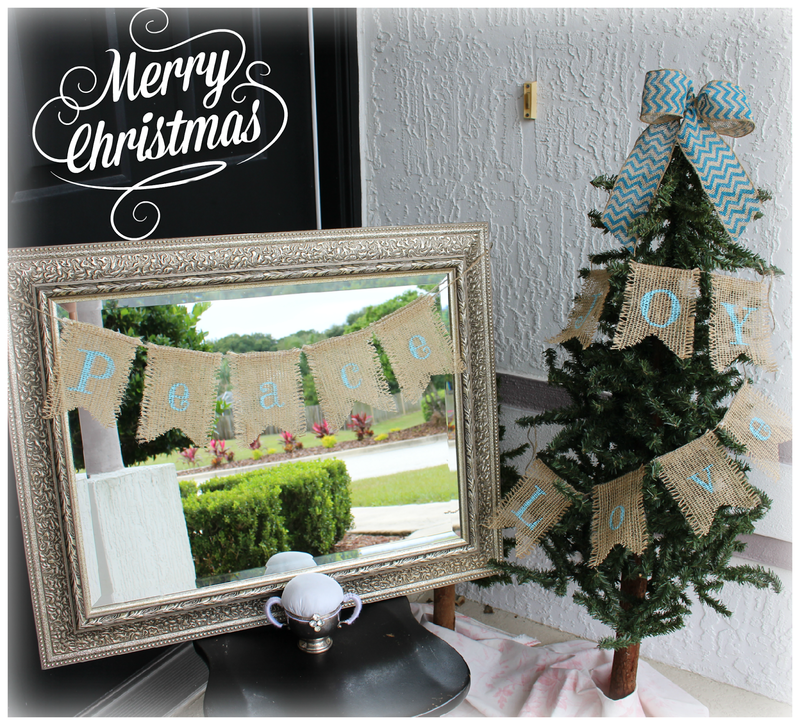 Your bunting is darling especially with the turquoise lettering:) Loveit! Wow, so fantastc and sooo very inspiring! Thank you for sharing! Love these. I always love a good banner! Thanks Vanessa for sharing the huge collection of cute hand made gift secret. I really like your ideal collection.